With the increase in wholesale prices, GB energy collapsed and announced to cease trade leading in trouble to 160,000 customers. Are you one among the GB energy's customer who is facing difficulty and don't know what to do? What You Should Do If You Are GB Energy Customer? You don't need to worry at all. Your gas and electricity supply will not stopped, it continuously come yet ofgem will shift you to the new energy supplier. Once supplier has been found, it will contact you. One thing you have to do is to take your meter reading and ofgem manages transfer and make sure no customer lose just because of this. Does Your Energy Bills Rise? When ofgem appoints new supplier for you, then it will be not one whom you have selected so that for sure they are expensive. For this, what you should do is to try independent switching and go for cheapest gas and electricity supplier. Switching energy supplier by doing Online Energy Comparison, Vswitch Usave and Find Cheapest Energy Supplier In Your Region. There are different criteria for different tariff plans. If you are on fixed tariff, you don't need to pay any exit fee. If you are in credit with GB energy supply, your new supplier will let you know what will happen. Ofgem said it will protect customers and GB energy supply will not take any direct debit payments. If you are in debit then your debit will taken normally and debit will not given to your new supplier. If You Are With Small Supplier - Risk or Not? May be, because big supplier do well but just opposite happened with small supplier. In last few years, wholesale prices are in favor of small supplier but last 12 months situation changes and it leads to increase in prices. In fact, if you think moving to big six companies will safe, let me tell you, being a customer you will not loss out. 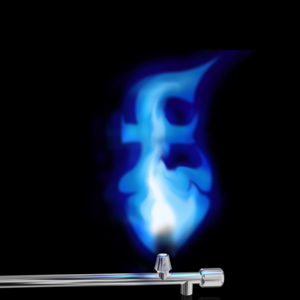 You can simply move to cheapest energy tariff and save money on gas and electricity bills. Do You Want To Switch Energy Supplier?